Peter Anthony Fields' short plays and performance locations include- 'Burden', 2013 Fade to Black Short Play Festival, in Houston, Texas, 'The Interview', 2015 at Kent State University's Student New Works Festival in Kent, Ohio, and also 2017 at Western Reserve Playhouse's 80 Minutes Play Festival in Bath, Ohio, 'About Michael', 2016 Student Theatre Festival at Kent State University and also 2017 at LOST Theatre, in London, U.K. for the British Theatre Challenge Act II, produced by the Sky Blue Theatre Company (and recipient of the Second Place Audience Appreciation Award), and 'This is a Safe Space! ', 2017 at Kent State University’s Black Box Series. 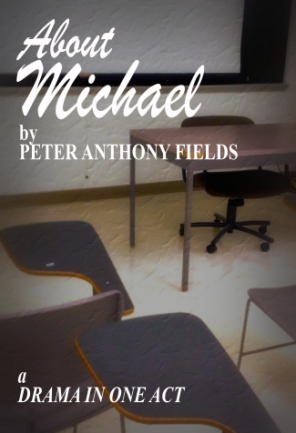 Other plays written by Fields include- 'The Visit', 'Citizens Loyal- a satirical thriller', 'Devil of Mercy', 'Asher Brown', and 'Maybe, One Afternoon'.